The National Information Technology Development Agency (NITDA) offers a scholarship scheme for Postgraduate studies at Master’s and Doctorate (PhD) degrees levels in relevant areas of Information Technology (IT) obtainable in both National and International Universities. The 2014/15 NITDA scholarship for Nigerians is now open for applications from suitably qualified candidates. The NITDA established this postgraduate scholarship scheme in pursuance of her mandate of producing globally competitive manpower in order to bridge the digital divide and transform Nigeria into an Information Technology capable country. For the whole duration of the programme - the Masters programme will run for one year while the Doctorate programme is expected to run for three years. You must visit the official website of NITDA (link to it is below) if you want to apply to this scholarship because NITDA applications are online-based. You must apply through the "registration form" webpage as located on the official NITDA website. 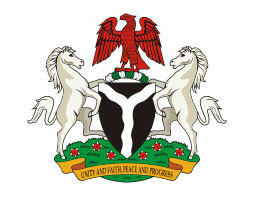 The Application Deadline Date for the NITDA Scholarship 2014/2015 session is 17th April 2014. The deadline for last session was 24th June, 2013.